Free 1-2 Day Local Delivery for Orders Over $50! 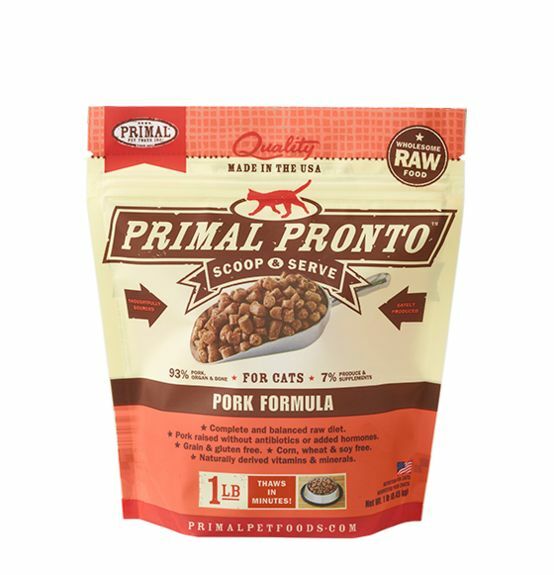 Home » Primal Pronto Frozen Raw Cat Food Pork 1 lb. 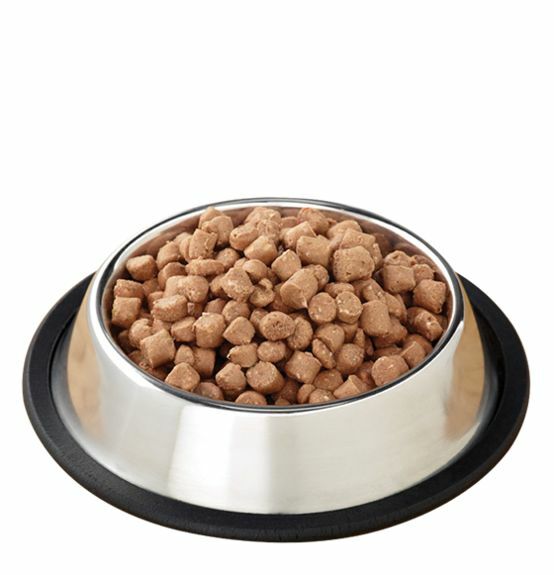 Primal Pronto Frozen Raw Cat Food Pork 1 lb. Or Call To Order and ask about our frequent buyer program for additional savings. Raw feeding doesn't get any easier than this! Using the same formulations as our Raw Frozen varieties, Primal Pronto Formula is a revolutionary way to feed raw foods to your pet. It's complete and balanced nutrition in a bite-sized, easy to portion format that thaws in minutes — just scoop and serve. Pork Hearts, Pork Livers, Ground Pork Bones, Organic Collard Greens, Organic Squash, Organic Green Beans, Cranberries, Blueberries, Organic Pumpkin Seeds, Organic Sunflower Seeds, Montmorillonite Clay, Organic Apple Cider Vinegar, Organic Cilantro, Sardine Oil, Taurine, Organic Quinoa Sprout Powder, Dried Organic Kelp, Organic Coconut Oil, Cod Liver Oil, Organic Ginger, Vitamin E Supplement.